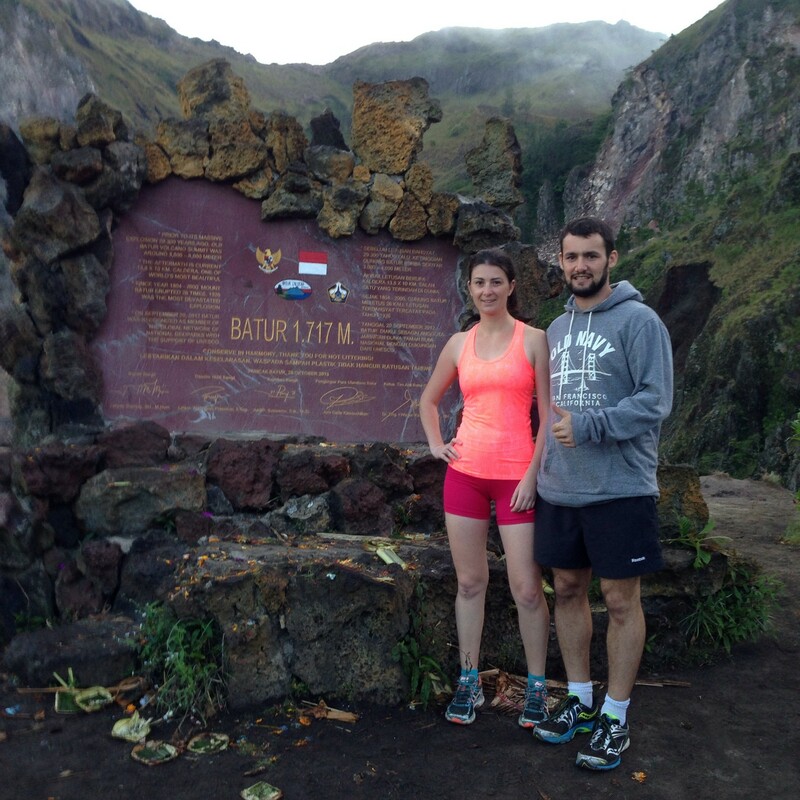 Interview with Running Addict from France, Mathilde | JustRunLah! Runners come from from all backgrounds, age and nationality. This week, JustRunLah! 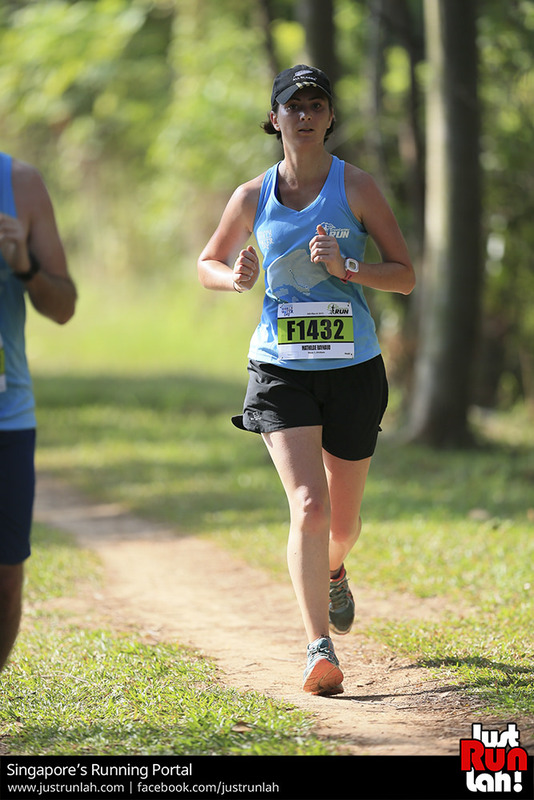 chats with Mathilde, an avid runner and foodie who has moved from France to Singapore a few years ago and developed her love for running here! She has been doing well in the local running scene and had achieved commendable timing for the recent RunNUS 2015 in the competitive 10km. Mathilde: I am Mathilde, 28year old this year and from France. I have been living and working in Singapore for slightly more than 3 years and I will describe myself as a wanderer, running addict and food lover. If you want to spot me running, I will most probably be somewhere at MacRitchie reservoir. 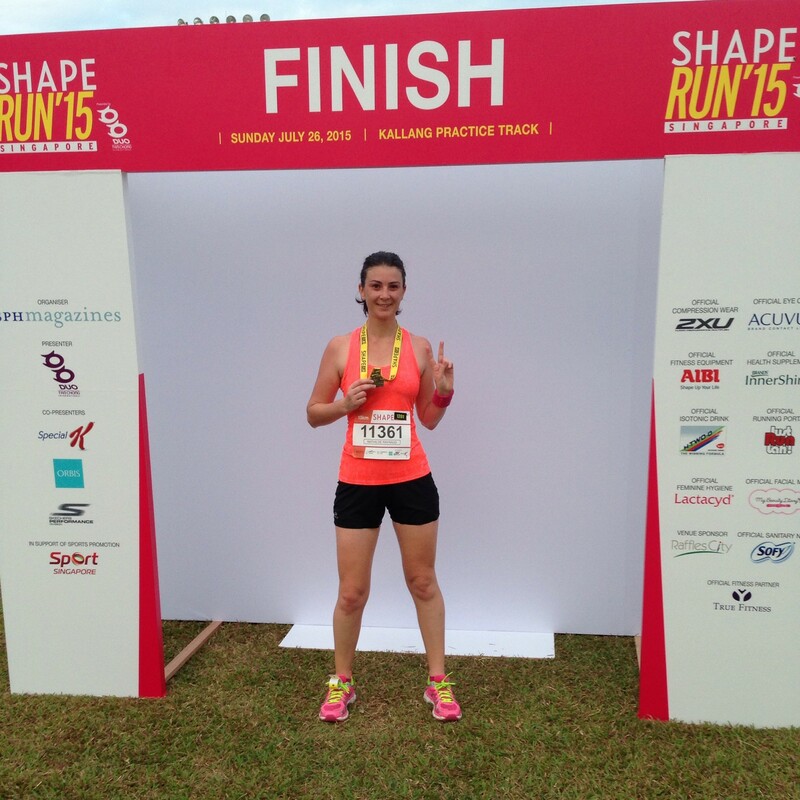 Mathilde:I started to run occasionally when I was 22 and became a real addict 3 years ago when I moved to Singapore. The person who inspires me the most is my dad who is an ultra-trail marathon runner. Besides his impressive performances, he amazes me with his mental strength. Mathilde: Well, I guess more or less for every sport you definitely need a certain mindset to achieve certain goals. 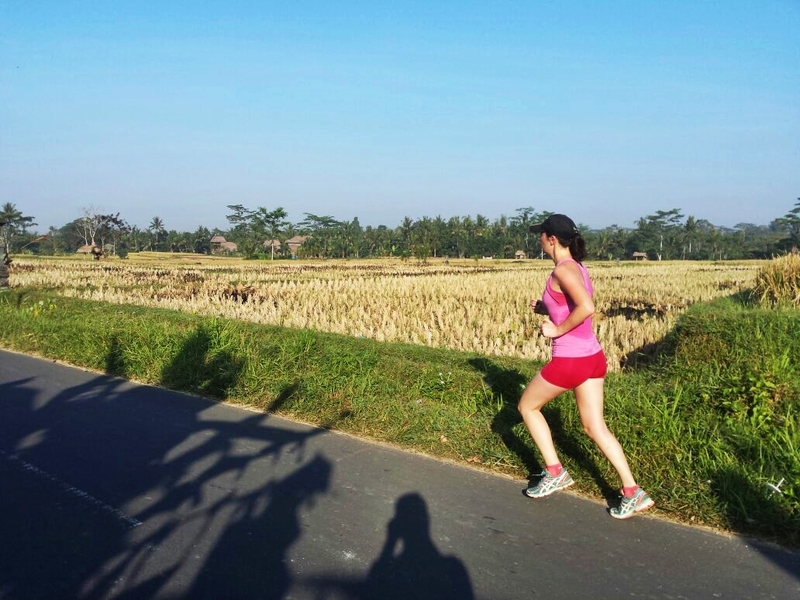 To me, running is something that is kind of easy and accessible to anyone and I actually think that it is getting more and more popular because people can see good improvement in short time. At the beginning, I had similar mindset as many people who were saying “No way, I cannot run 10K”. But I managed to achieve such a distance eventually and then it started to become a matter of improving the timing and increasing my mileage. At this point where you want to improve PR in order to run longer distances, you need to train and endure some pain to achieve these goals. So yes, you need to always push your limits to see the results. Mathilde: To me I didn’t achieved it yet. I think I can always push my goals to the next step. But if I have to choose from my past races, it will my latest PR for 2XU half-marathon (1h46’20”). I am currently training for trail half-marathon in Sapa and for the Standard Chartered Marathon. JustRunLah! : You ran an impressive 53min 49s for the 10km hilly race! How long did it take you to train for that? Mathilde: To be honest, am actually a bit disapointed with my timing for this race. Nevertheless, I started training a month ago with more hills for the half-marathon trail race in Sapa with 1500m elevation. JustRunLah! : What advice would you give to someone taking that 10km race? 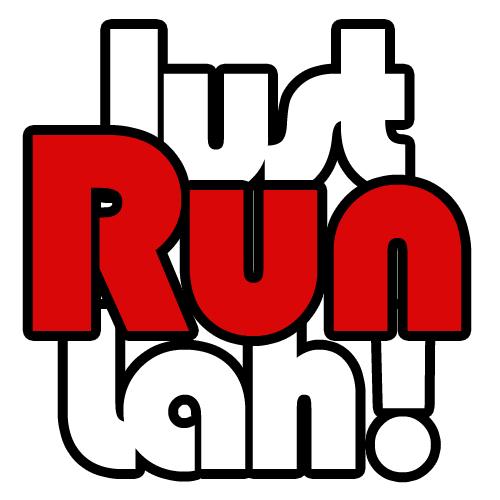 Just Run Lah? Mathilde: I would recommend to start on steady pace, not too fast especially because of all the hills which will require lots of energy. See how you feel after 5k and try to speed every K. Use your arms for the hills to give you the push, it’s very important. JustRunLah! : Do you have any pre-race rituals? What goes through your head every time you run? Mathilde: I will always prepare my stuff the evening before the race so that I do not spend time to look for socks or whatever and I will eat the same thing before every race. I do not really know what goes through my mind but when I see people ahead I’m like “I’ve to pass those guys….sorry guys, nothing personal”. Mathilde: I talk to myself “come on, you can do it”. My main mantra is not give up, never. Even if it’s painful, I will convince myself that the hardest is behind me. JustRunLah! : What do you think makes a runner, especially someone who keeps at it, put feet to the ground day after day? Mathilde: I would say that it’s for the challenge. They are endless… As a runner, we can always try to improve PR, longer distance, toughest race and it requires motivation and efforts and nobody but us can do it.